Who Is Kevin Smith Playing In LEGO Batman 3? Hint: It's Kevin Smith. 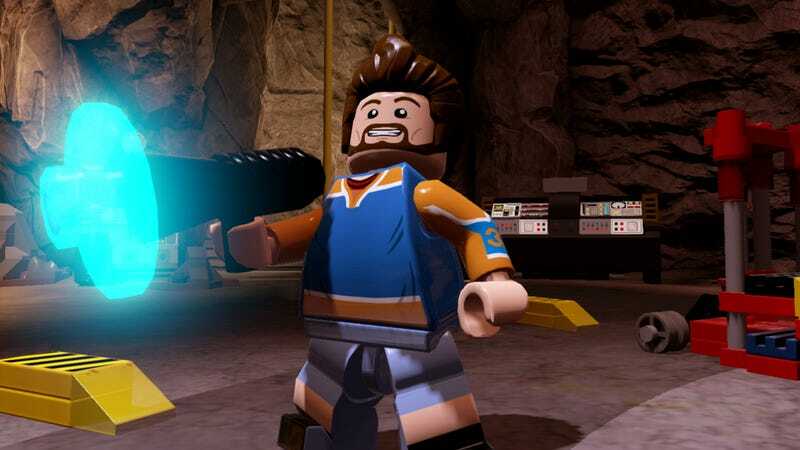 In what I feel is a horrible example of miscasting, film director and rabid Batman fan Kevin Smith has been tapped to voice film director and rabid Batman fan Kevin Smith in LEGO Batman 3: Beyond Gotham. I probably would have gone with someone younger, maybe mixed things up and had him voiced by the ever-charming Tara Strong, but I'm not the voice director for the game. If I were, this post would be even more confusing than it already is. Along with Kevin as Kevin, Warner Bros. Interactive Entertainment has also announced DC Entertainment chief creative officer Geoff Johns as DC Entertainment chief creative officer Geoff Johns, which I think is a brilliant choice. Fans of the hit TV show Arrow will be happy to know that brooding stubble-face Stephen Amell will be taking on the role of Green Arrow. guaranteeing I'll spend every second playing him in the game moaning about "The Island". Oh, and Troy Baker will be portraying both Batman and Bruce Wayne, who are completely separate people and not the same guy at all. All four of these fine fellows — including Kevin Smith — will be making an appearance at the LEGO Batman 3: Beyond Gotham panel at next weekend's New York Comic-Con. If you happen to be at the Jacob K. Javits Convention Center on Saturday, October 11 at 12 p.m. near main stage 1-D, you'll be able to see them talk about LEGO Batman things. As an added bonus, Smith will probably be completely baked.